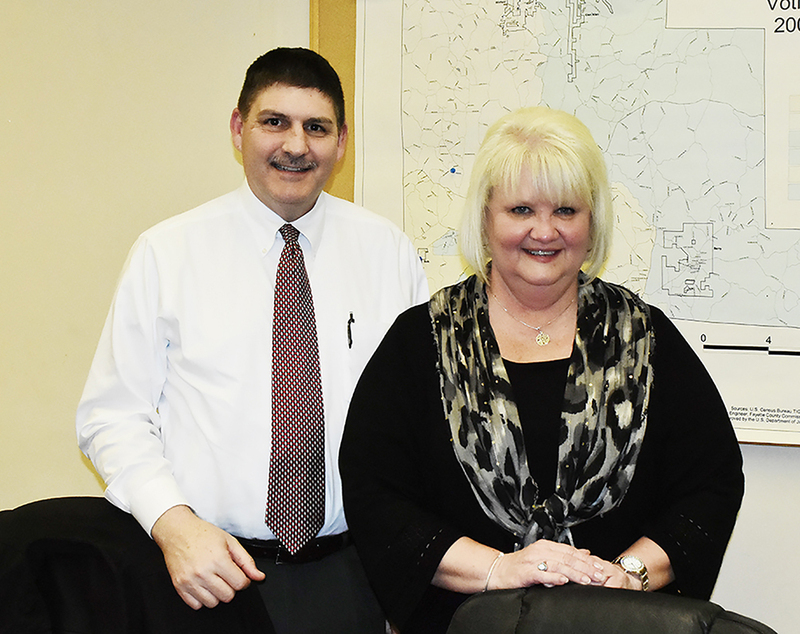 Shown are Dennis Stripling, executive dirctor of the West Alabama Regional Commission, and Pam McDaniel, director of the Area Agency on Aging, as they spoke to the Fayette County Commission. The Fayette County Commission discussed its plans for the future of the aging program in the county, following the retirement in November of its long-time program director, Fay Meharg. All commissioners were present for the Nov. 26 meeting. Commissioner Barry Corkren said that he is certainly not against having an aging program in the county, but added that now by be the appropriate time to evaluate the way the program is funded and staffed to ensure that the program runs more efficiently and economically.